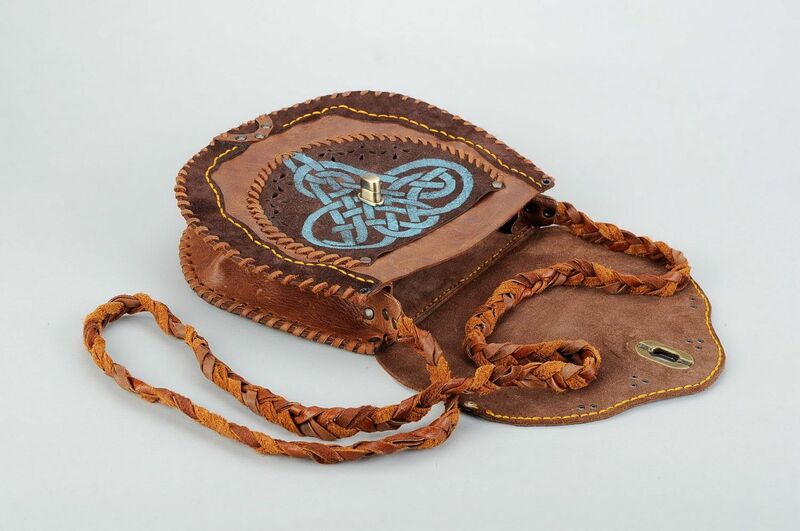 MADEHEART > Women&apos;s leather bag "Freya"
A small lady&apos;s bag in the Scandinavian style is made of genuine leather. 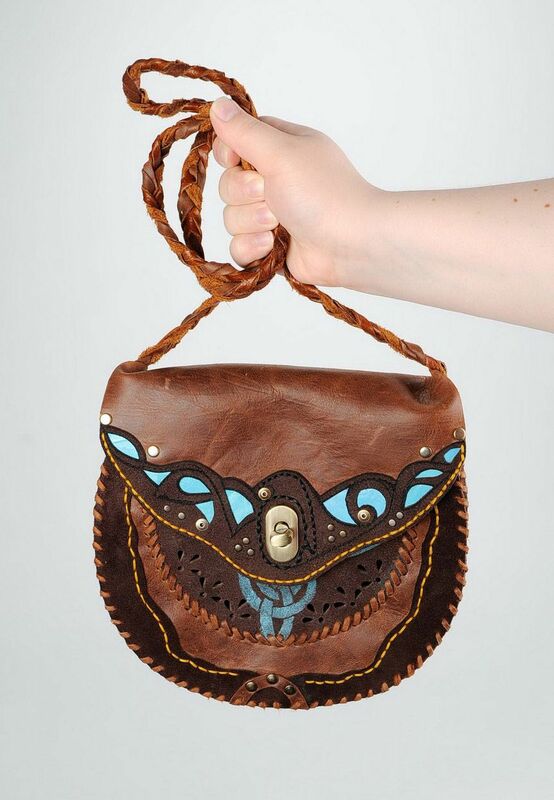 This stylish accessory complements any outfit in your wardrobe. 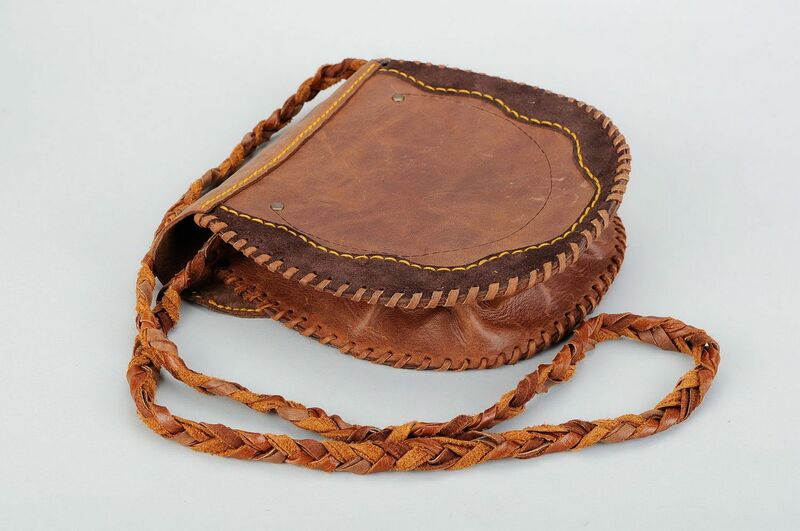 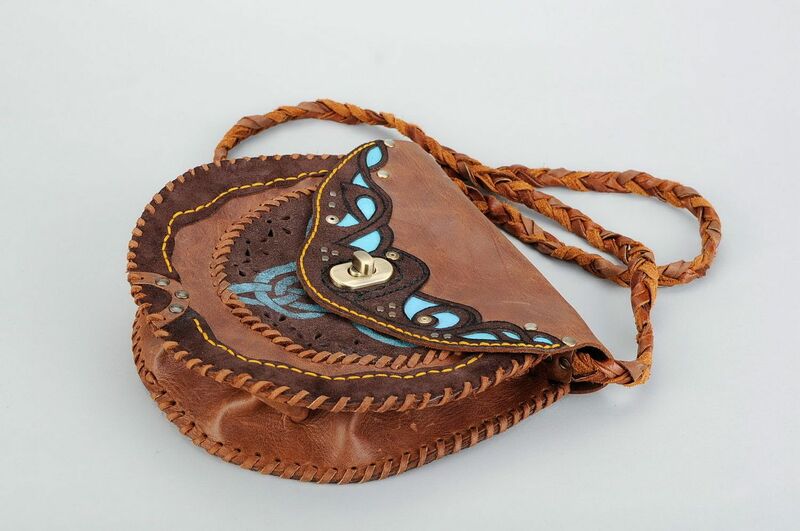 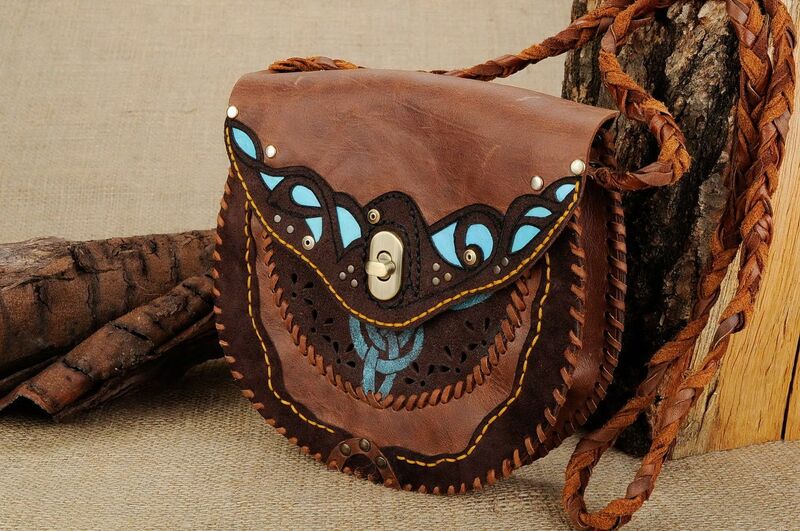 The bag is hand-sewn and is equipped with a long braided handle, which allows you to carry the accessory over your shoulder.